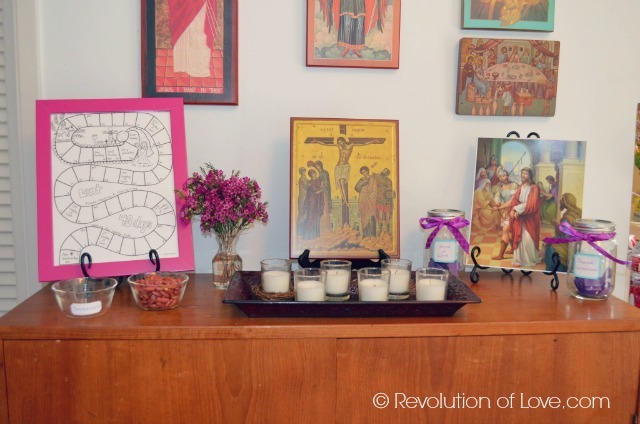 Bobbi Rol of Revolution of Love is sharing her guide to setting up prayer table in the home. 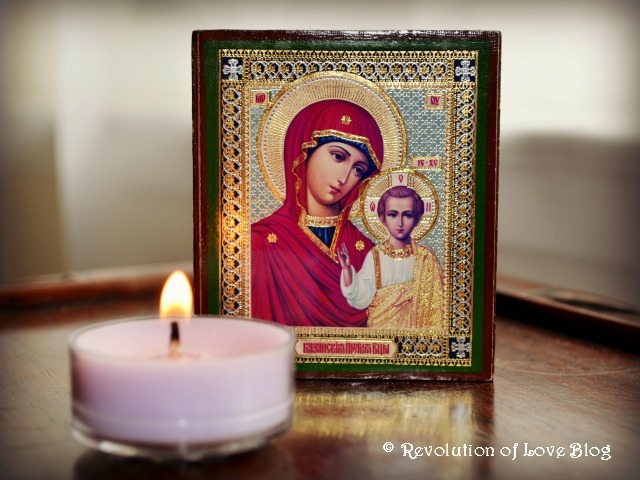 The simple action of creating a small sacred space within the home can help bring the whole family to prayer. 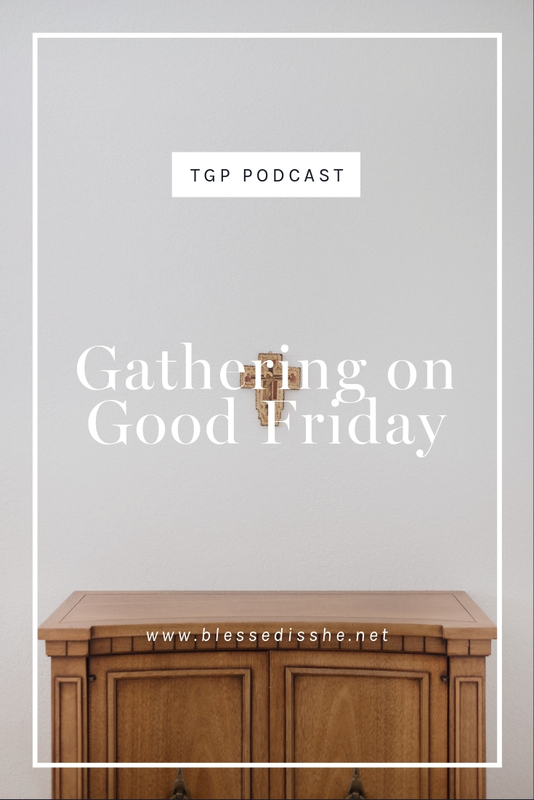 When I was growing up and after our family had a reversion to the faith, my mom set up a little table in the house that was the family “prayer table.” It held the family bible, a candle and seasonal decor, such as the baby Jesus during Christmas. I loved the idea and brought it into our own home once Brian and I were married. 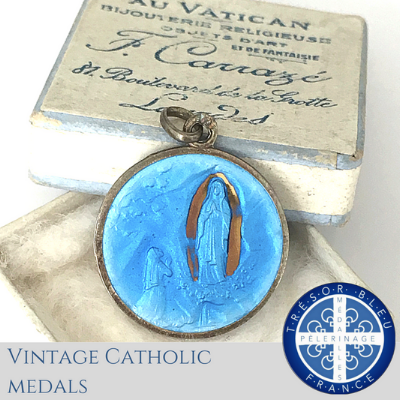 He both had a love of icons and found ourselves with quite the collection. 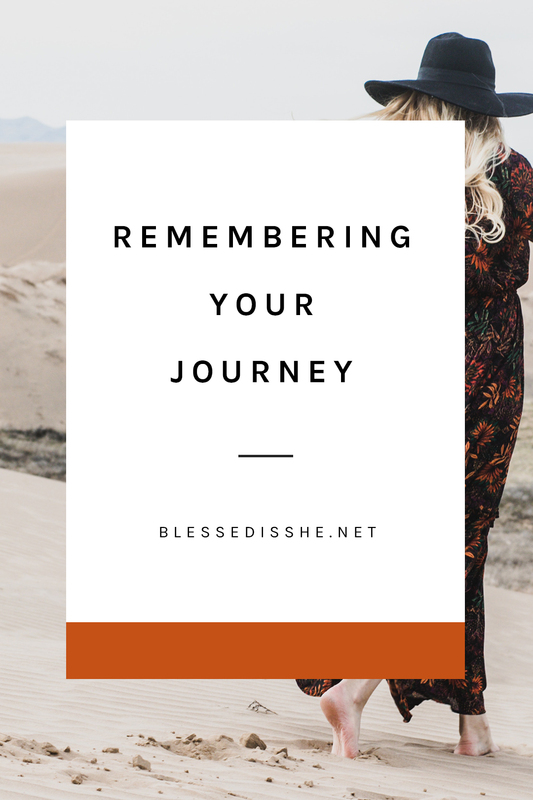 We hung them up in various places in our house and created sacred spaces – spots that reminded us of the eternal and turned our minds to God. When we first got married and lived in a small apartment our space was a tiny broken down nightstand that we set up in the corner of the room. Once we moved into our current home, we used the kitchen table from our old apartment that was now too small for our family. We set it up in the entry way right next to our front door. Years ago I went to a book sale at our parish and I found the exact same family bible that my parents had. I was so excited to bring it into our home. My kids would grow up looking at the same beautiful religious artwork that I loved. We also have on the table our pregnant mama statue (given to me by a special friend) to represent all the pregnant mamas we are praying for, especially family members. We also have a photo of the little girl we sponsor in Mexico named Abi. She has become a sweet part of our family. I love our entry way prayer table but it doesn’t change during the year. 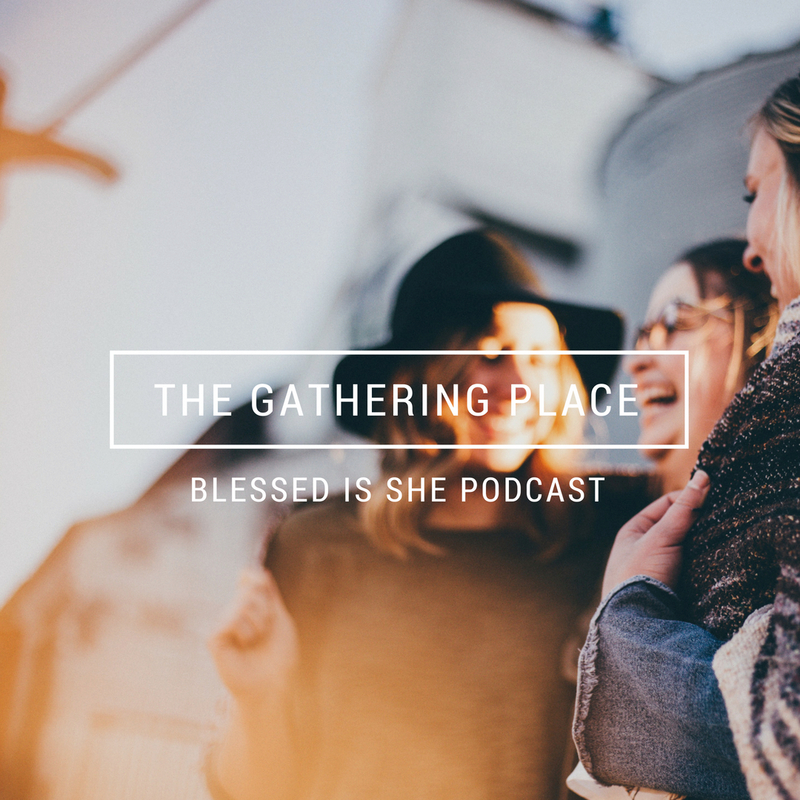 Plus I wanted to have something in the family room since that is where we spend the bulk of our time, where we eat and say grace, where we gather to say our family night prayers, where we sit on the couch and spend time together. I thought this was the room that needed a little sacred space. I decided to use the top of an old cabinet a friend gave us. It wasn’t fancy but it would do. We gathered a number of our icons and placed them on the wall. 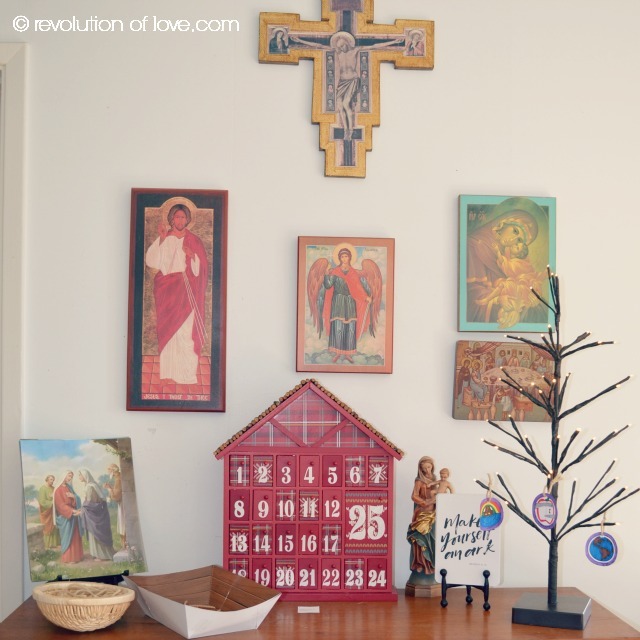 Here are some samples of how the top of the shelf changes through the liturgical season. We set up the Stations of the Cross prints and a candle centerpiece using a long rectangular tray filled with six votive candles for the six weeks of Lent. Similar to an Advent wreath, we light one each week. We printed off Catholic Icing’s Lenten Calendar and I placed it in an inexpensive frame from Ikea. 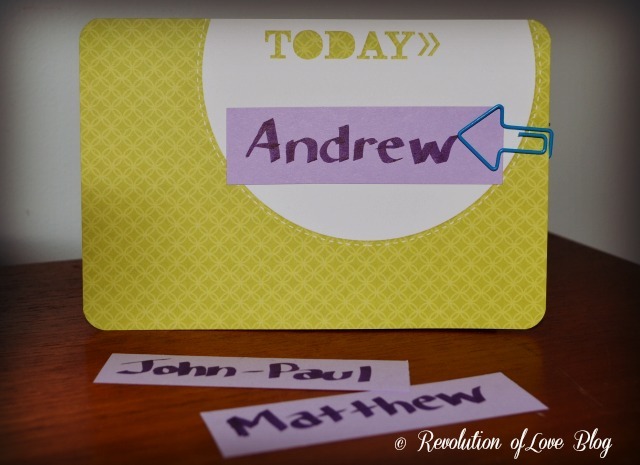 I use a dry erase pen to mark a cross on each day as it passes. 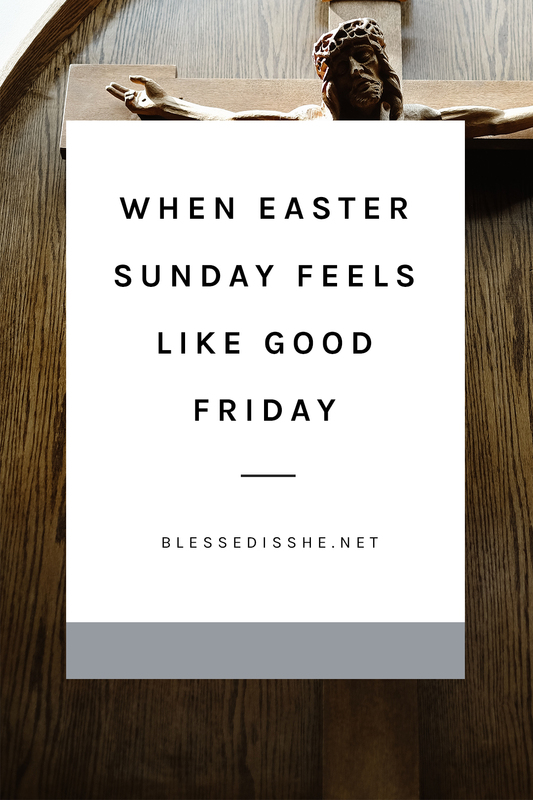 It is great for the kids, who have no sense of time, to see how many more days until Easter. Lastly we added our Acts of Love Jar (with little acts we can do) and our Prayer Jar (with a daily intention) which we choose from each day. To keep track of the acts of love we do, we use Catholic All Year’s idea of the Sacrifice Beans. Each month we focus on a different prayer or invocation. In October we were teaching the kids the Guardian Angel prayer so we used Catholic All Year’s super hero prayer printable. On the feast of All Saints’ Day, I was inspired by Mary’s post at Sometimes Martha Always Mary.com and I printed our the patron saints of our family from Happy Saints.com. (They have some really cute and inspirational products.) We have St. Joseph (Brian’s patron), St. Anne (my patron and middle name), St. Rose (Bella’s middle name), St. Andrew, St. John-Paul, St. Matthew, Our Lady of Lourdes (For Baby Victor whom we miscarried on her feast day) and St. Junipero Serra (For Baby Joseph who was also miscarried. We have a family devotion to our Carmel Mission saint.) In November we have a printable with the photos/ names of deceased family members and friends. During Advent we have our Mysteries of the Rosary prints, “hay” for Baby Jesus’s manger, the Advent Calendar (both explained here) and our Jesse Tree with Jesse Tree cards from Blessed Is She. At least we no longer have arguments about who gets to pray first or who gets to blow out the candles. (Nothing like a yelling match to put you in a prayerful mood, eh?) We have a prayer leader of the day. They get to start off the intentions, the rosary and blow out the candle at the end. 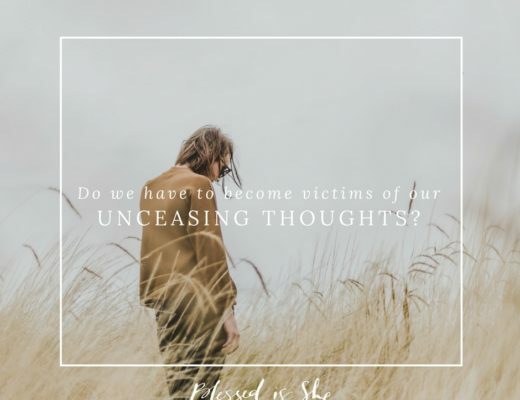 If we unavoidably miss an evening prayer time, we light two candles the next evening for the current leader and the boy who missed blowing out the candle the night before because that job is SUPREME. 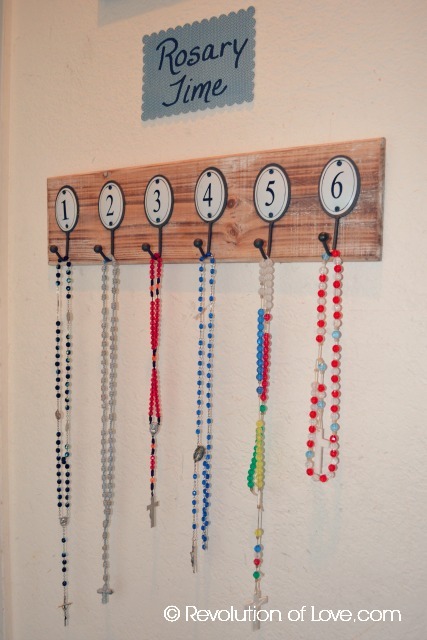 To also avoid the tangled rosaries in a basket, lost rosaries or the he-has-the-color-I-like fights, everyone keeps their rosary in one central location in our hallway by the door leading to the family room. The print of Our Lady was painted by one of my favorite artists Flor Larios. In our bedroom, I also added a sacred space for Brian since he likes to say his prayers in there. In the kids’ room, I didn’t think it would be wise to have candles and statues since there are too many swinging light sabers. 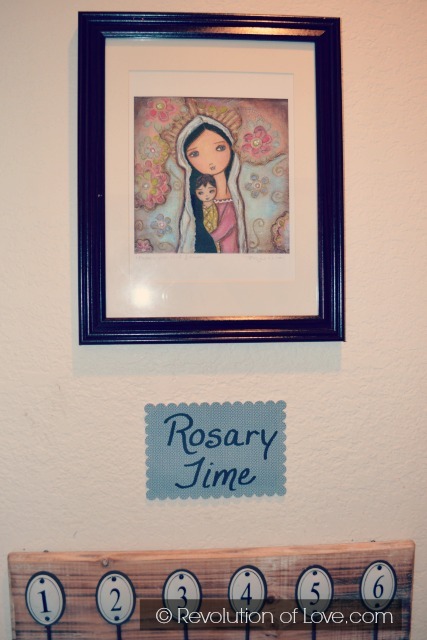 Instead I hung up two framed prints and a rosary. 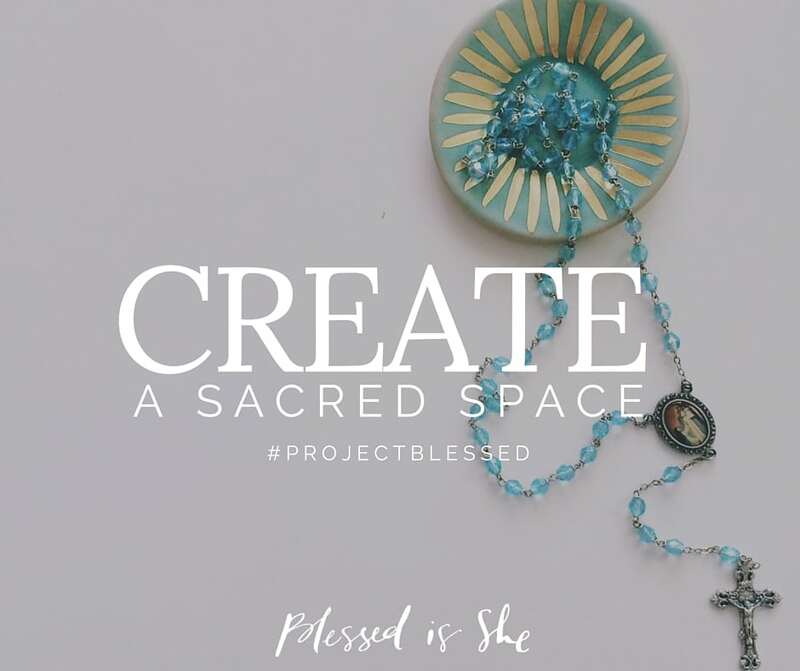 Don’t have a sacred space yet? 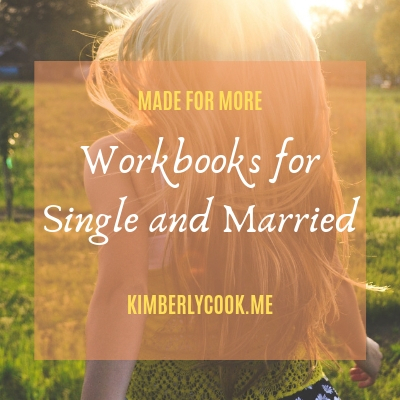 Whether you are single, married or a mama of many, it’s easy to make one. 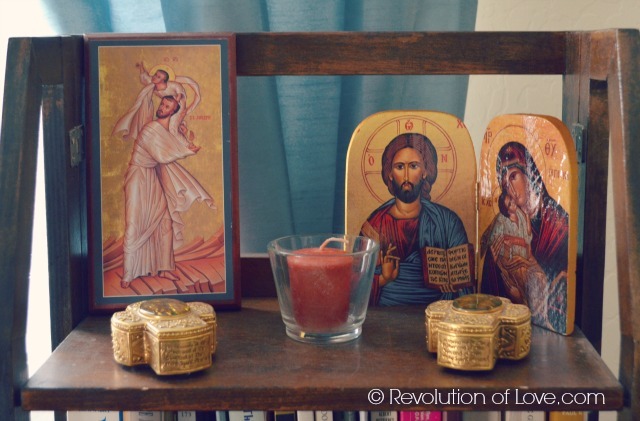 Just find a little spot in your home to make your little prayer area. It can be a mantle, a book shelf, a small table, a wall shelf or whatever you can create. 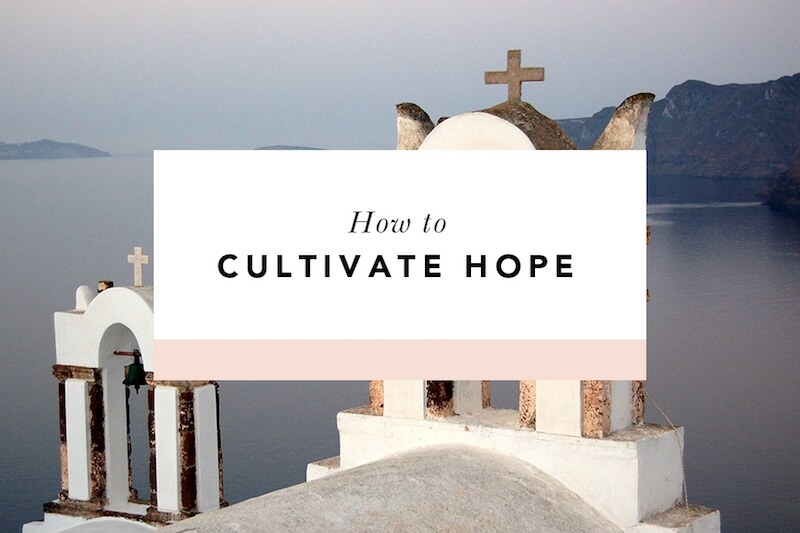 Add a statue, crucifix, icon or a framed printable. Maybe a candle, flowers or seasonal decor. It can be as simple or as elaborate as you’d like. 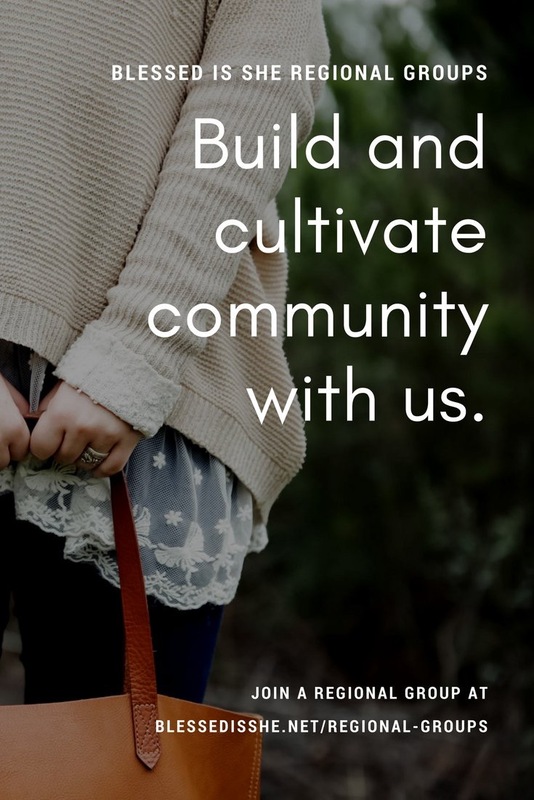 Put together your sacred space and share it with us. Hashtag #projectblessed and #familysacredspace. 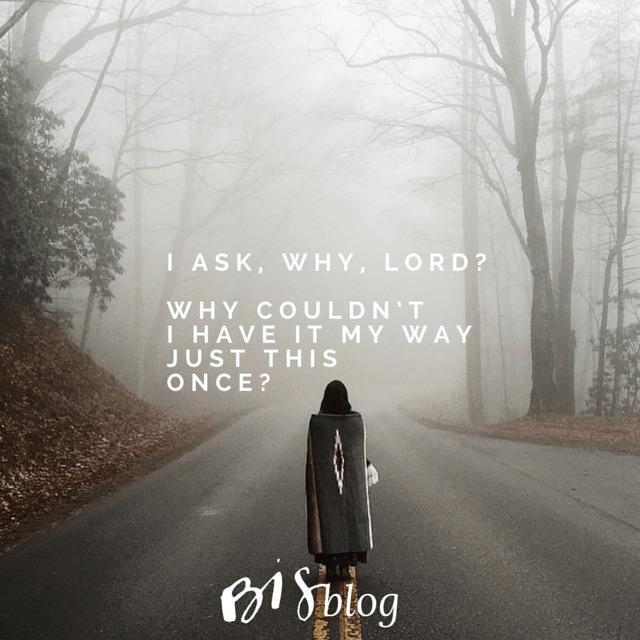 Do you have a favorite place to pray? 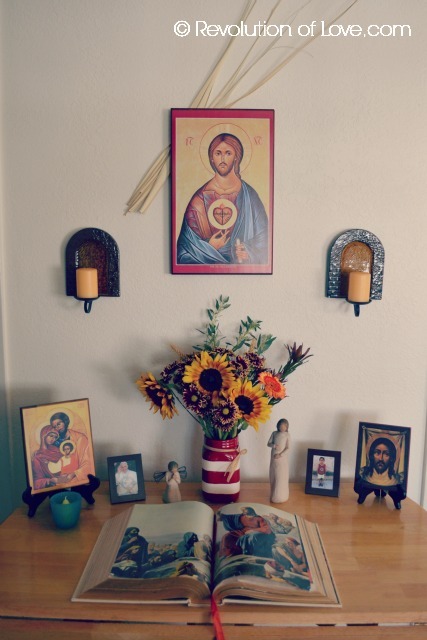 How do you foster prayer in your home? 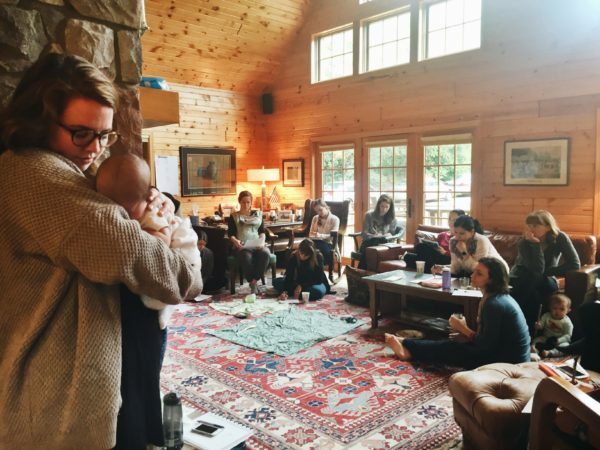 What images and environments are helping you come to prayer this month? I love the idea of a prayer space. I have one started, but it keeps getting junked up with odds and ends. This gives me some motivational n to clear it off and try again. This reminds me of David Clayton and Leila Lawler’s Little Oratory. What beautiful spaces you have created in your home. I loved this! The prayer spaces were beautiful. Thanks for adding the links to some of the items. 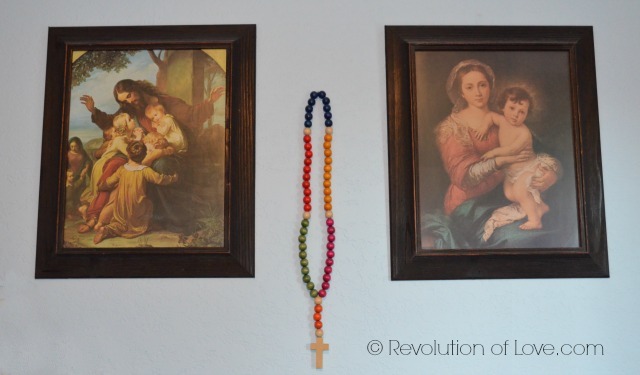 I just adore the Mary picture in the Rosary section. I love praying in my bedroom. 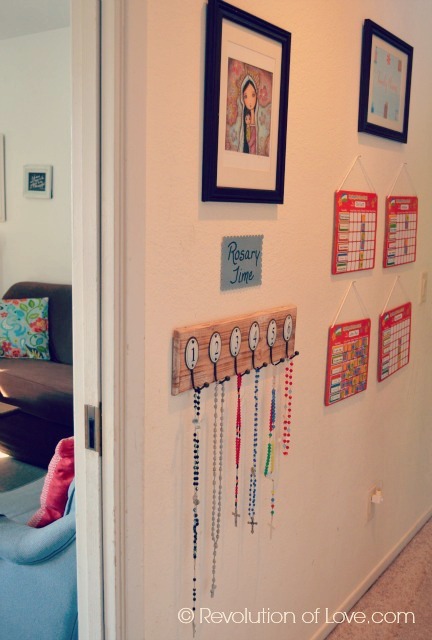 These are some really good ideas that I may use in my house! First, I love your story and all the photos. Thank you so much for sharing. 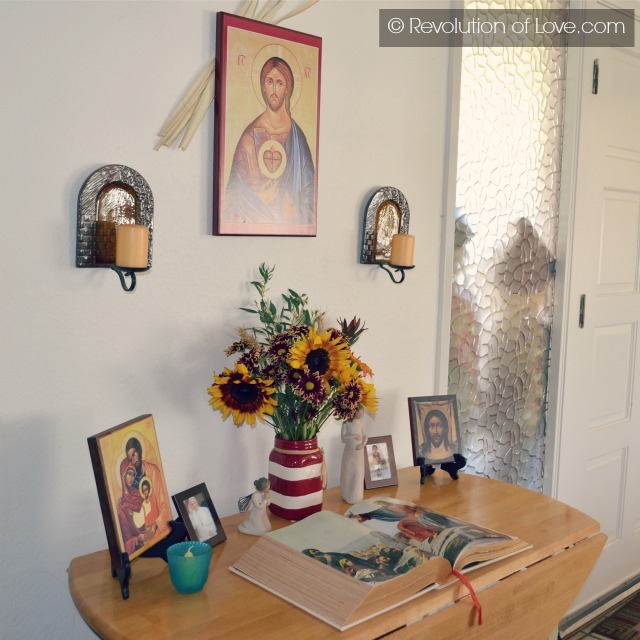 I love to see how people are creative at home and incorporate interests, styles, and the faith so beautifully. Second, I need to ask-where did you find all those icons? I’m sure it was over time but I have been on the market to find more. We have one, which was a gift to us, and I recently purchased another at an event, and it will be a gift. I would love to add another to our home. Thanks! I had a little table set up in my room. I need to see about doing this again. My favorite place to pray is my bed. I enjoy going over the day and praying for all the intentions before sleep…better than counting sheep! 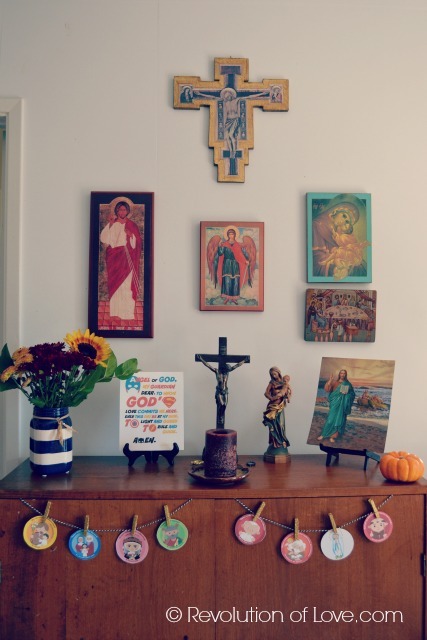 Once I have a place of my own, not a college dorm, I so look forward to decorating with beautiful images and intertwining my Catholic faith as part of the decor.